When I was in Philadelphia last month, I set out to explore all the hidden historical points. Well, not exactly hidden, but not as famous as say the Liberty Bell. Elfreth's Alley was one such spot. Known as the oldest occupied street in the United States, it is filled with the quaintest houses. Each one was painted differently. Some were decorated with window boxes, others with beautiful iron work. One thing that caught my eye was the variety of doorknockers. What do they tell you about the people that originally lived in these houses? The Dallas Arboretum is lovely! I was so disappointed we didn't get to go there till 12:00! There are so many places that would have been gorgeous with a less harsh lighting ratio! The family I went with had a season pass, with which guests were free. I told the Arboretum workers that I was a photographer and there wasn't a charge, (Although I had to submit my e-mail address and website). I'm assuming this is how they generally operate? love this post!!! how cool you came across all these! awesome post!! Awesome! 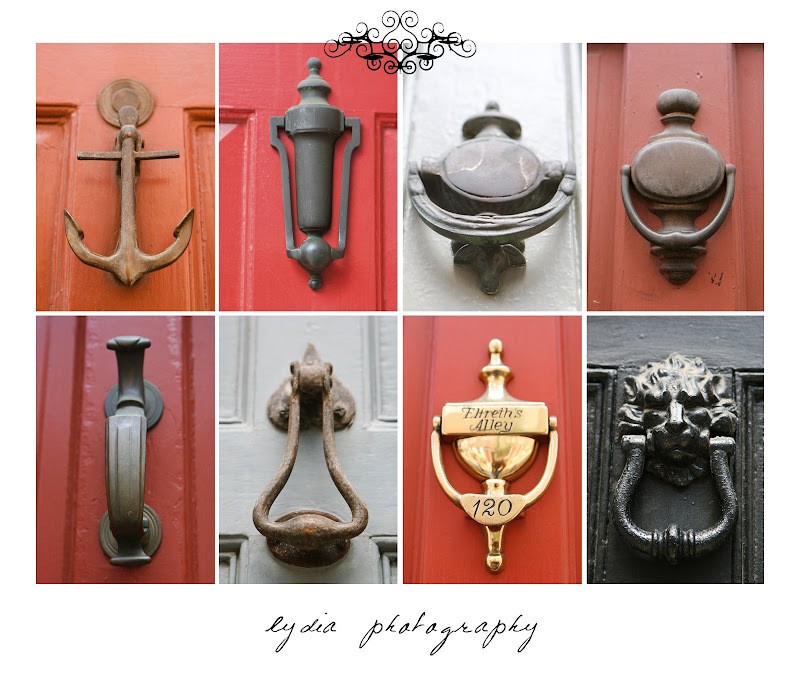 I want a cool house with a cool doorknocker! Actually, I want to collect cool antique doorknockers from interesting historical places and use them throughout my house. Hehe, I am so happy. Your archeives are opening for me!